It is that time of year again, boaters! That’s right, the holidays are upon us and it is time to celebrate the festivities in style! One of the great things that comes to having a boat during the holiday season is decorating your boat and joining the boat parades. What better way to show some holiday spirit than out on the water with your loved ones? Every year on November, 24th at 6:30 PM, Jacksonville throws a ‘Light Boat Parade’. 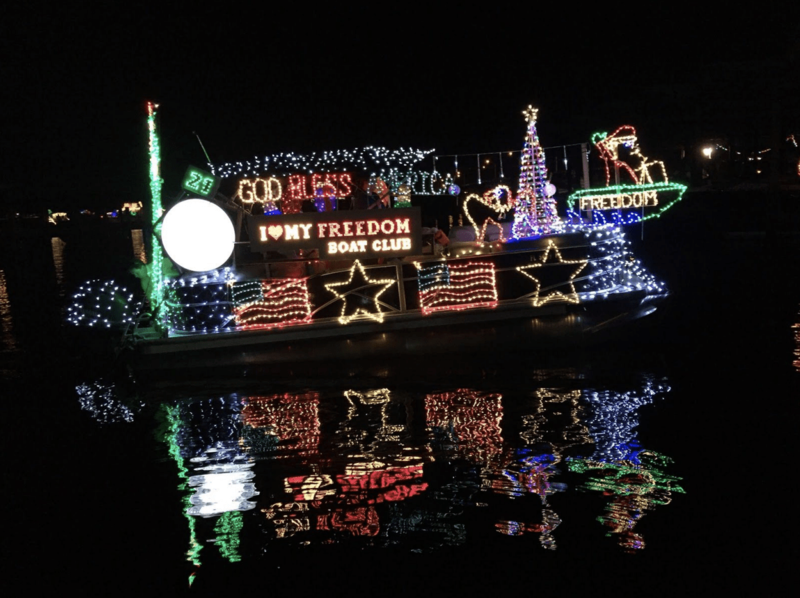 This boat parade is centered around boaters decorating their boats up extravagantly with shimmering, shiny lights and parade them around the downtown section of St. Johns River. The best part, registration and participation are free! Lights, lights, lights! When decorating your boat for the light parade, it is obvious that you want your craft to shine and shimmer like Whoville from Dr. Seuss’s, The Grinch. You want your boat to stick from the others around you to get the best reaction from the crowd. However, you do not want too much of the same color as it will all blend into one blob, your going to want to diversify the colors and arrange them in contrasting order so they all pop! Music! What else can make your boat pop more than some pretty lights? Music! Put some speakers on your boat and blast those holiday tunes. Not only will it be more fun for those watching, but also for those on the boat. Nothing will put your friends and family in the mood than listening to Mariah Carey’s “All i Want for Christmas is You” while cruising down St. Johns River. Dress up! If only your boat is all dressed up and ready to go for the occasion but the occupants are not, are you truly honoring the holiday spirit? Go all out and put on some holiday costumes, not only is it fun for those on board, but it also completes the ambiance of the holiday spirit. The parade crosses to the south bank and follows along the Riverwalk to the Duval County School Board building. Captains and crews of registered vessels are invited to participate in next year’s Light Boat Parade!